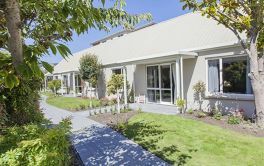 Golden Age Retirement Village" located in Papanui, Christchurch (off Harewood Rd) offers retirement villas for retirees. 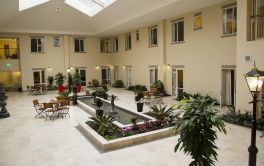 Their site states that they "have been purpose built for comfortable retirement living. 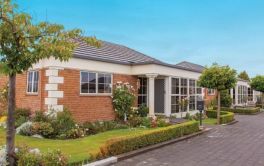 Secure, comfortable, modern retirement home" Golden Age Retirement Village is also next to the Golden Age Rest Home, Camellia Court and Albarosa Dementia facilities, which are onsite. Automatic washing machine, Clothes dryer, Dishwasher, Oven and microwave, Nightstore and fan heaters, Smoke detector, Nurse call in bedroom and bathroom"
× Have you visited this facility? 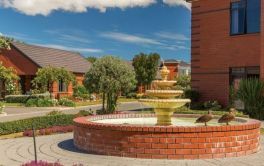 Help others who are looking for a place by posting a review on GOLDEN AGE RETIREMENT VILLAGE or review a different facility now. My mother spent the last 3 years of her life in this facility. The nursing staff and administration showed continual respect & love for my mother. 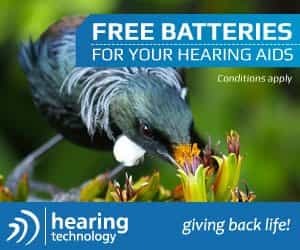 They stayed in contact with me as I do not live in Christchurch. I recommend Golden Age to my friends whose parent (s) are in need of rest home care. I have no negative comments. The facility goes the extra mile every day. Great village management (Jan). Really friendly people everywhere. Lovely meals. Plenty of entertainment. You do a great job - Thank you.